5. The five brief chapters of the Book of Jonah (the fifth in the Book of the Twelve Prophets) are read on Yom Kippur, underlying three universalpillars of Yom Kippur’s personal stock-taking/soul-searching: Repentance (“Teshuvah”), Prayer/Faith (“Tefilah”) and Justice (“Tzedakah”), which trigger a fourth pillar – Forgiveness. The Prophet Jonah (“dove” in Hebrew), son of Amitay (“truth” in Hebrew) sailed to a faraway land, transformed a sinful society into a pious society, while displaying communal responsibility. It has been suggested that the Book of Jonah (as well as Noah’s Ark) inspired Christopher Columbus, whose last name is a derivative of Columba – “dove” in Latin. 6. Why the name Yom Kippur? The Hebrew word Kippur, כיפור (atonement/repentance), is a derivative of the Biblical word Kaporet כפורת,, the cover of the Holy Ark in the Sanctuary, and Kopher, כופר, the cover of the Holy Altar in the Temple and of Noah’s Ark. Yom Kippur resembles a spiritual cover (dome), which separates between the holy and the mundane, between spiritualism and materialism. The Kippah, כיפה (skullcap, Yarmulka’), which covers one’s head during prayers, reflects a spiritual dome. 7. Fasting is a major feature of Yom Kippur. The Hebrew spelling of “fast” (צם/צום) – abstinence from food – reflects the substance of Yom Kippur. The Hebrew word for “fast” is the root of the Hebrew word for “reduction,” “shrinking” and “minimizing” (צמצום) of one’s wrong-doing, food, materialism, egotism, arrogance and one’s perspective (private, rather than communal, soul-searching). “Fast” is the root of the Hebrew word for a camera’s aperture adjuster (צמצם). Yom Kippur re-entrenches a lesson from The Ethics of our Fathers: “Who is a hero? He, who controls his urges!” “Fast” is also the root of the Hebrew words for “slave” (צמית) and “eternity” (צמיתות): eternal enslavement to God, but not to human beings. “Fast” is also the root of עצמי (being oneself),עצום (awesome), עצמה (power),עצמאות (independence), which are gained through the process of fasting, soul-searching, spiritual-enhancement and faith in God. 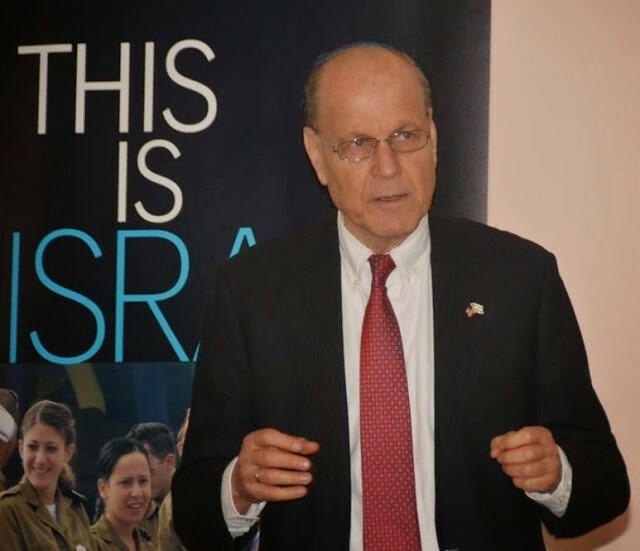 Ambassador ret, Yoram Ettinger will be in the US during the whole month of February, 2016, available for speaking engagements. (list of topics: http://bit.ly/1W5CrSr). Questo contenuto è stato inserito il Settembre 22, 2015 ore 1:37 pm nelle categorie English, Flash News, Servizi Italiani, SICUREZZA PARTECIPATA. puoi seguire i commenti tramite RSS 2.0 feed.